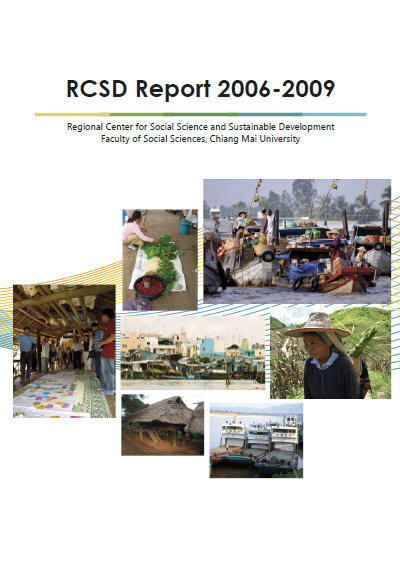 The research carried out by RCSD faculty members and regional partners has highlighted the impacts of regionalization and economic development in a number of areas, in particular with regard to transnational migration, urban development and the impacts of environmental changes on a variety of social groups, as well as on poverty and health. 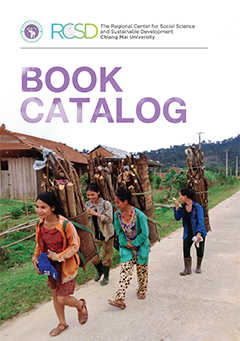 These research findings have been published in the form of monographs and a series of working papers. 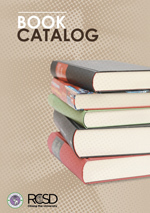 A number of papers presented at RCSD conferences and regional seminars have also been published as collected volumes. Free copy available at RCSD. 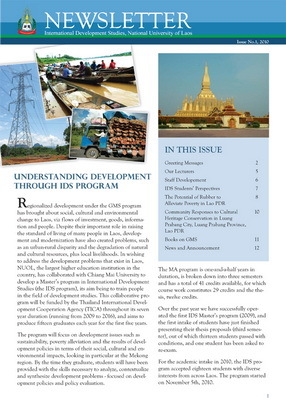 The IDS newsletter is designed for the MA program in International Development Studies at NUOL. 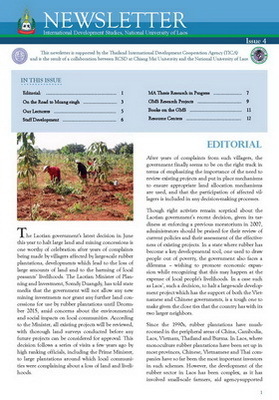 Besides providing basic information about the program and updating the progress of students in the program, the reader can widen their perspective about the development in the region through many interesting information and research projects presented in the each issue.